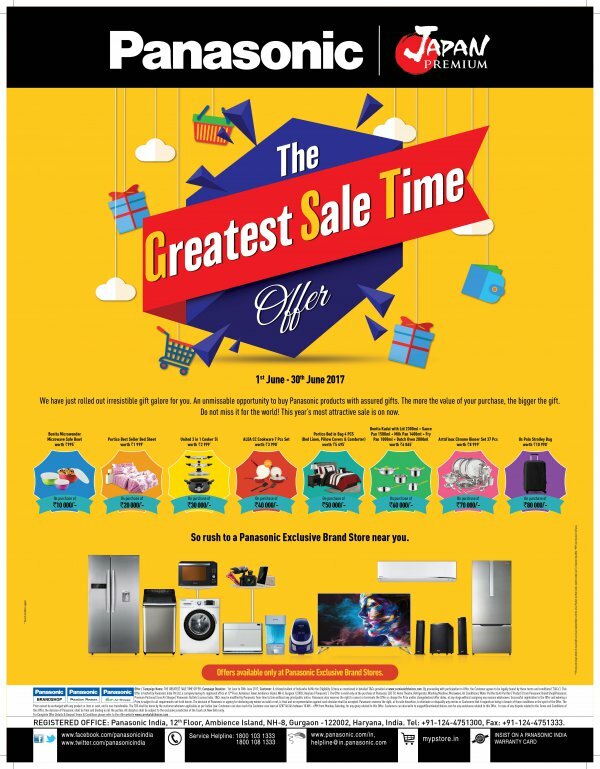 Panasonic India has announced The Greatest sales Times Offer on its complete range of appliances from 1st to 30th June to boost its sale. This special Consumer Promotion Offer is available only at Panasonic exclusive Brand stores across the country. During this period, the prospective customers will get assured gifts on a minimum purchase of Rs. 10,000. The Offer is valid on the purchase of Panasonic LED TV, Home Theatre, Refrigerator, Washing Machine, Microwave, Air Conditioner, Water Purifier, Air Purifier, Beauty Care Range, Vacuum Cleaners and Steam Irons.